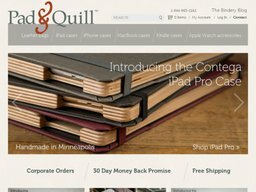 Pad & Quill is a brand and retailer of Apple tech cases and accessories, headquartered in Minneapolis, Minnesota, United States. The privately held company is know for its high quality leather designs for the iPhone, iPad and MacBook, but they also serve the Kindle and also sell full size leather bags and wallets. Pad & Quill was founded in 2010 by couple Brian and Kari who saw a gap in the market for carefully crafted and premium tech cases, rather than the standard imported plastic that seems to dominate the sector. They try and get their materials from natural and organic sources, and each item is handcrafted with extra care. The company is currently online only and can be found at Pad&Quill.com. Here they are always running offers and deals, and we list all of the latest Pad and Quill coupons so you can redeem these. 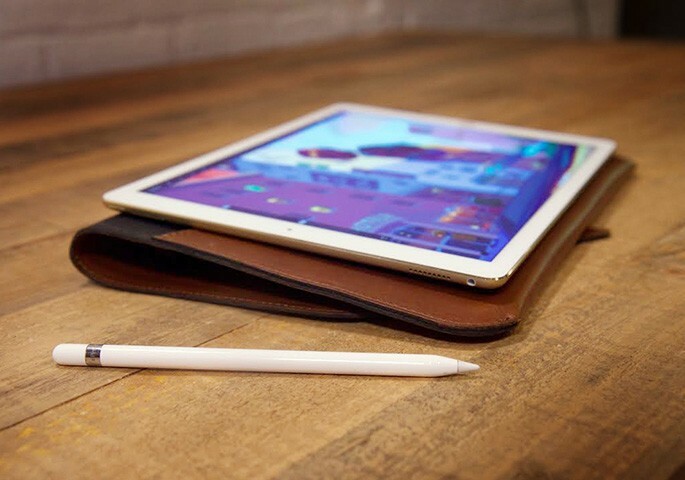 The Pad & Quill range are all their exclusive in-house designs, which cover the iPad (2, 3, 4; Mini 1, 2 ,3; Air & Air 2), iPhone (5, 5c, 5s, 6, and 6 Plus), MacBook (12, Air, Pro 13, Pro 13 with Retina, and Pro 15), and the Amazon Kindle. They also manufacture a line of Apple Watch charging stands and leather bands. Although perfect for carrying tech their leather bag range is also perfect for any situation and includes backpacks, briefcases, messenger bags, and more. They also have two brands of leather wallet, the Journeyman and the Midtown. Pad & Quill support payment via PayPal, as well as credit card (Visa, MasterCard, Discover and American Express). It's very simple to redeem a Pad and Quill coupon code, simply copy it over from Coupofy and then paste it in to the promo box on the store's site. This is found before the payment step. Pad & Quill ship both domestically within the united States via USPS or FedEx, and overseas via FedEx. Domestically most orders ship for free and take between 3 to 5 days, but you can also pay extra for USPS Priority ($7.50) and USPS Express ($20). If you happen to live near their facility at 2400 N. 2nd St., Minneapolis, you can pick the item up for free. Free shipping does not require a Pad and Quill coupon code. Of course you will only be refunded the actual amount charged if you have used any Pad and Quill coupon codes to get a discount.